Thank you for hanging in there so patiently and I apologise for my long silence. I'm now six months into my new job, six months that have been both all-consuming and incredibly satisfying. 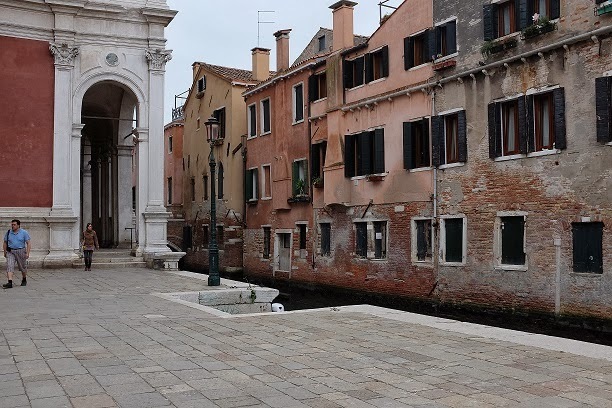 I finished my six month sprint and then took off on a wonderful week-long holiday in Venice. Even writing that sentence feels like a gift. It was my first experience of travelling to Venice for a holiday rather than work, and it was a privilege to land at San Marco with nothing except the anticipation of beauty, pleasure, good coffee and lots of prosecco - and finding as many ways as possible to have my husband understand why I find Venice so precious and endlessly fascinating. I got to show my husband some of 'my' familiar and well-loved places, and to explore new ones. One of the first places that I always go back to is the rear of Scuola di San Rocco near the Frari. I love the peace, the sound of the water lapping against the canal and the glow of the salmon pink building. 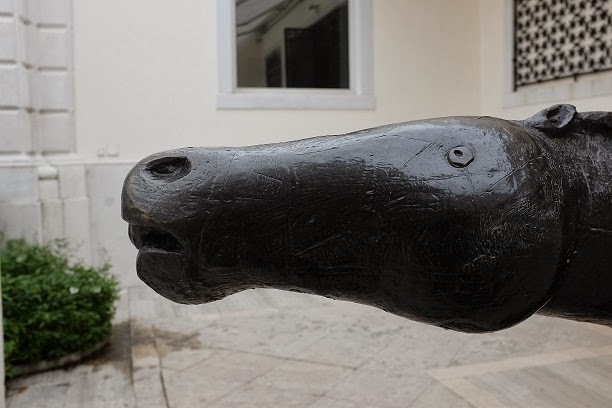 I introduced my husband to the place that first brought me to Venice - the Peggy Guggenheim Collection - and introduced him to my favourite horse in Venice - Marino Marini's Angel of the Citadel on the terrace of the museum. 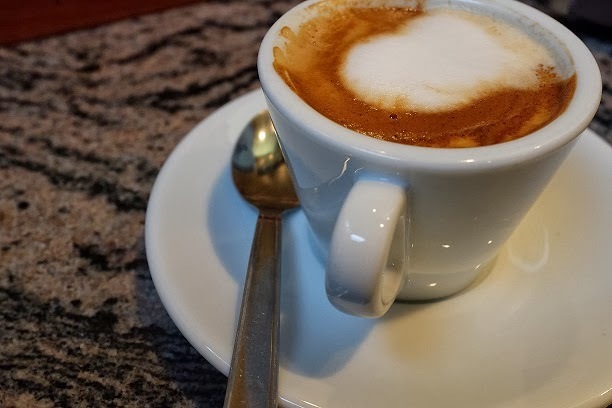 Then I showed him a very important corner nearby to the Guggenheim Collection - the counter of Da Gino's with their stupendous coffee, tramezzini and friendly welcome. 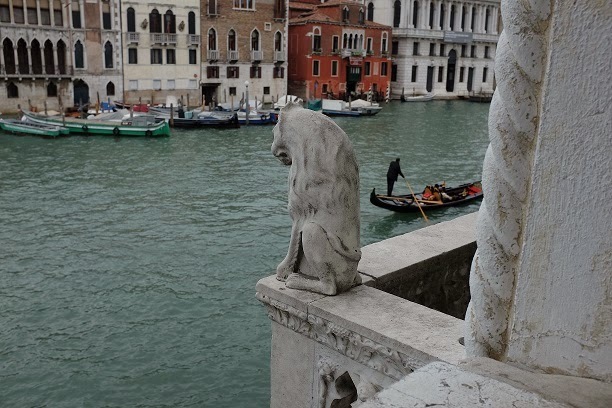 And then up to the balcony of the Ca d'Oro to say hello to the lions and admire the view of the Rialto, the Pescheria and the Grand Canal. I arrived in Venice with a list that was six pages long of things I wanted to do and see. I didn't actually get through that list, and instead added more places to find and more things to learn. So here I am again, back in Sydney, and plotting how soon we can make the next trip. Are you going to share some more of your visit with us? Thanks for your interest & patience, Yvonne. Here's some more about the trip. More to follow!